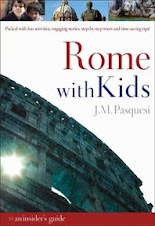 Rome with Kids author, J.M. Pasquesi, shares her insider perspective, tips, and advice on Rome, Italy. 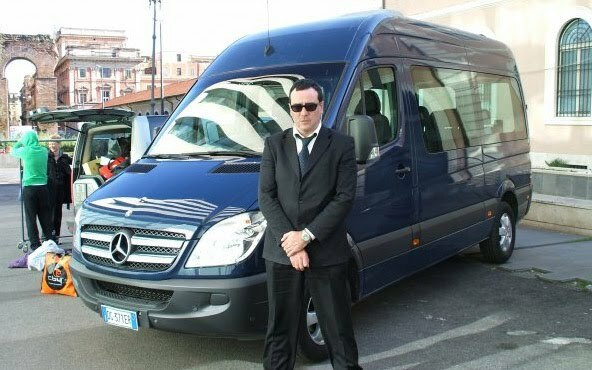 As if peace of mind, immediate attention, and a comfortable ride—on your own schedule—are not enough, white-glove companies like Rome Cabs (romecabs.com) will spoil you with custom daytrips, ship-to-shore excursions, English-speaking drivers and knowledgeable tour guides for remarkably reasonable prices. Tell them where you want to go and they’ll quote you a price, no hidden fees or surprises. For these reasons, and for their flawless service, prompt pick-ups, and professional demeanor, they are my number one recommendation for private transport in Rome. If you worry about taxi-gouging, losing precious touring time by waiting for public transportation, or simply getting lost, consider a private driver. The bigger the group, the more it makes sense. For instance, getting to the city from Fiumicino airport costs €11 per person on the non-stop Leonardo Express train to the main train station, Termini. Four people will pay a total of €44 for the train, and still have to get to their hotel from the station. A taxi from the airport to your hotel, in the city center, has a flat rate of €40 for four or less people, so it’s a good choice, but many, especially after many hours of travel, don’t want to wait in lines or worry about dishonest drivers. Our same foursome can have a car and driver waiting for them at the airport for €55. That’s not much more for a stress-free landing. I recently interviewed Stefano Costantini, the high-energy, affable owner of Rome Cabs and the source of the company’s strive for perfection since its inception in 2003. Though not a typical Italian family business, it feels like one, because Stefano collaborates with friends, and this friendly feeling is evident, from booking to touring. There are other fine cab companies in Rome, but I feel that Rome Cabs goes above and beyond for their clients, starting with arriving early for your pickup. They’d rather wait for you than have you ever wait for them. And they won’t leave you stranded: If your plane is hours late or you miss a connection, they’re waiting for you. I once had a client arrive during a chaotic airport baggage handlers’ strike! Stefano’s driver stayed with the woman—who spoke no Italian—and actually scaled the mountain of luggage to find her bags. Incredible. Stefano can fix just about anything, and he takes pride in his top-notch services, especially the personal care he provides for stranded tourists, like the time a cruise ship arrived five hours late, causing many of the passengers to miss connecting flights. Rome Cabs jumped into action, acquiring hotel rooms for everyone needing overnight accommodations. Travel can be stressful, and working in the travel industry, with all its setbacks and problems, can lead to burn out, but Stefano says, “Every day I meet a variety of people for whom I have the pleasure of showing my city and surrounding areas.” He loves his work. RWK recommends hiring Rome Cabs for a daytrip to Tivoli, where you can take the kids to see two splendid villas: the ancient Hadrian’s villa, and the Renaissance Villa D’este. (including the grandmother) that will be travelling to Rome next year...we will certainly contact Rome Cabs for our airport transfer. I wonder if you can also advise as to an apartment for our 3 night stay in Rome so that our driver has a place to take us! We have spent hours on the internet searching for an apartment to acommodate the 7 of us, hoping for something less than 200 euros but still convenient to all of the sites. for any assistance you can offer! Thanks for your kind response. I'm glad to be of help. Bravo for taking the whole family, too! 200 euro for 7 people is a challenging budget, but don't give up. You may have to look a little further than the popular centro, or center of town, but just make sure you are near a metro train, so you can get in and out of the city with ease. Though I don't have personal experience, many people have had positive experiences with inexpensive rentals from b-b.rm.it, RomanReference, and sleepinitaly. Another source for inexpensive apartments is cross-pollinate.com. You did not mention the ages of your children, but keep in mind that you can usually request a crib at a small additional fee. You may also find it helpful to look for two rooms in a B&B. Former Rome resident, J.M. Pasquesi has been visiting and living in the Eternal City with her own children for many years. With a background in travel editing and classical studies, she wrote the award-winning guide, ROME WITH KIDS: AN INSIDER'S GUIDE.